Extremely Severe Cyclonic Storm Nargis (نرگس [ˈnərɡɪs]) caused the worst natural disaster in the recorded history of Myanmar during early May 2008. The cyclone made landfall in Myanmar on Friday, 2 May 2008, sending a storm surge 40 kilometres up the densely populated Irrawaddy delta, causing catastrophic destruction and at least 138,373 fatalities. The Labutta Township alone was reported to have 80,000 dead, with about 10,000 more deaths in Bogale. There were around 55,000 people missing and many other deaths were found in other towns and areas, although the Myanmar government's official death toll may have been under-reported, and there have been allegations that government officials stopped updating the death toll after 138,000 to minimize political fallout. The feared 'second wave' of fatalities from disease and lack of relief efforts never materialized. Damage was estimated at over K62,988,000,000 (US$10 billion), which made it the most damaging cyclone ever recorded in this basin. The first named storm of the 2008 North Indian Ocean cyclone season, Nargis developed on 27 April in the central area of Bay of Bengal. Initially, the storm tracked slowly northwestward, and encountering favourable conditions, it quickly strengthened. Dry air weakened the cyclone on 29 April, though after beginning a steady eastward motion, Nargis rapidly intensified to attain peak winds of at least 165 km/h (105 mph) on 2 May, according to IMD observations; the JTWC assessed peak winds of 215 km/h (130 mph), making it a weak Category 4 cyclone on the SSHS. The cyclone moved ashore in the Ayeyarwady Division of Myanmar at peak intensity and, after passing near the major city of Yangon (Rangoon), the storm gradually weakened until dissipating near the border of Myanmar and Thailand. Nargis is the deadliest named cyclone in the North Indian Ocean Basin, as well as the second-deadliest named cyclone of all time, behind Typhoon Nina of 1975. Including unnamed storms like the 1970 Bhola cyclone, Nargis is the sixth-deadliest cyclone of all time, but an uncertainty between the deaths caused by Nargis and those caused by other cyclones (like the 1991 Bangladesh cyclone), could put Nargis as fifth-deadliest or higher, because the exact death toll is uncertain. Nargis was the first tropical cyclone to strike the country since Cyclone Mala made landfall in 2006, which was slightly stronger, but had a significantly lower impact. According to reports, Indian authorities had warned Myanmar about the danger that Cyclone Nargis posed 48 hours before it hit the country's coast. Relief efforts were slowed for political reasons as Myanmar's military rulers initially resisted large-scale international aid. US President George W. Bush said that an angry world should condemn the way Myanmar's military rulers were handling the aftermath of such a catastrophic cyclone. Myanmar's military junta finally accepted aid a few days after India's request was accepted. Hampering the relief efforts, only ten days after the cyclone, nearby central China was hit by a massive earthquake, known as the Sichuan earthquake which measured 7.9 in magnitude and it alone had taken 87,476 lives, and caused US$150 billion in damage, making it the costliest disaster in Chinese history and third-costliest disaster ever known. Furthermore, some donated aid items were found to be available in the country's black market, and Myanmar's junta warned on 15 May that legal action would be taken against people who traded or hoarded international aid. Towards the end of April 2008, the Inter-Tropical Convergence Zone over the Indian Ocean became very active, with a tropical disturbance developing under its influence during 25 April. Over the next couple of days, the disturbance gradually developed further within an area of low vertical wind shear, before it was classified as a depression by the India Meteorological Department early on 27 April. Initially, the depression moved westward and was classified as a deep depression by the IMD, before the United States Joint Typhoon Warning Center (JTWC) initiated advisories and classified the storm as Tropical Cyclone 01B later that day. The system subsequently started to move north-westwards under the steering influence of an anticyclone and an upper level ridge of high pressure. At 0000 UTC, 5:30 AM Indian Standard Time, on 28 April, the IMD upgraded the system to Cyclonic Storm Nargis, while it was located about 550 km (340 mi) east of Chennai, India. On 28 April, Nargis became nearly stationary, while situated between high-pressure ridges to its northwest and southeast. That same day, the JTWC upgraded the storm to cyclone status, the equivalent of a minimal Category 1 hurricane on the Saffir-Simpson hurricane scale. Around the same time, the IMD upgraded Nargis to a severe cyclonic storm. The cyclone developed a concentric eye feature, which is an eyewall outside the inner dominant eyewall, with warm waters aiding in further intensification. Early on 29 April, the JTWC estimated Nargis reached winds of 160 km/h (100 mph), and at the same time, the IMD classified the system as a very severe cyclonic storm. Initially, the cyclone was forecast to strike Bangladesh or southeastern India. Subsequently, the cyclone became disorganised and weakened due to subsidence and drier air; as a result, deep convection near the center markedly decreased. At the same time, the storm began a motion to the northeast, around the periphery of a ridge to its southeast. The circulation remained strong despite the diminishing convection, though satellite intensity estimates using the Dvorak technique indicated the cyclone could have weakened to tropical storm status. By late on 29 April, convection had begun to rebuild, though immediate restrengthening was prevented by increased wind shear. On 1 May 2008, after turning nearly due eastward, Cyclone Nargis began rapidly intensifying, due to greatly improved outflow aided by an approaching upper-level trough. Strengthening continued as Nargis developed a well-defined eye with a diameter of 19 km (12 mi), and early on 2 May, the JTWC estimated that the cyclone reached peak 1-minute winds of 215 km/h (135 mph), as it approached the coast of Myanmar, making it a Category 4 storm. At the same time, the IMD assessed Nargis as attaining peak 3-minute sustained winds of 165 km/h (105 mph). Around 1200 UTC on 2 May, Cyclone Nargis made landfall in the Ayeyarwady Division of Myanmar at peak strength. The storm gradually weakened as it proceeded east over Myanmar, with its proximity to the Andaman Sea preventing rapid weakening. Its track turned to the northeast due to the approach of a mid-latitude trough to its northwest, passing just north of Yangon with winds of 130 km/h (80 mph). Early on 3 May, the IMD issued its final advisory on the storm. Nargis quickly weakened after turning to the northeast, toward the rugged terrain near the Myanmar–Thailand border, and after deteriorating to minimal tropical storm status, the JTWC issued its last advisory on Nargis. Rainfall rate from cyclone Nargis over Western Bay of Bengal, as measured by the TRMM. On 27 and 28 April, the cyclone enhanced the South-West Monsoon over Sri Lanka, which resulted in very heavy rain, flooding, and landslides being reported within the Western, Sabaragamuwa and Southern provinces. The districts of Ratnapura and Kegalle were the most affected, where more than 3,000 families were displaced. Thousands of houses were flooded, with 21 reported destroyed. The rainfall left 4,500 people homeless, and more than 35,000 people were affected on the island. Three people were reported injured on the island, while two were reported dead. The India Meteorological Department recommended that fishermen should not sail on the ocean during the passage of Nargis. Strong waves and gusty winds were expected along the Tamil Nadu and Andhra Pradesh coastline in India. Additionally, the influence of the cyclone lowered temperatures along the Indian coastline, which had been affected by a severe heat wave. When the cyclone was originally expected to strike near Bangladesh, officials requested farmers to hurriedly finish harvesting the rice crop. At the time, the country was experiencing severe food shortages from Cyclone Sidr in the previous year and flooding earlier in the year, and a direct strike from Nargis would have resulted in destroyed crops due to strong winds. Satellite photography of the Irrawaddy Delta before (top) and after (bottom) Nargis hit the area. Topographic map of the region of Burma affected by Cyclone Nargis. The low-lying Irrawaddy Delta was the hardest hit. The United Nations estimated that 1.5 million people were "severely affected" by this cyclone. Estimates of the people missing were 53,836, with 84,537 confirmed dead. Some NGOs estimated that the final death toll would be over 100,000. At least 10,000 people were reported to have perished in the delta town of Bogale alone. Nargis was the deadliest tropical cyclone worldwide since the Typhoon Nina in 1975, which killed at least 229,000 people, and the deadliest tropical cyclone in the North Indian Ocean since the 1991 Bangladesh cyclone, which killed at least 138,866 people. One aid worker claimed that the death toll from the cyclone and its aftermath might reach 300,000; if correct, Nargis was the second-deadliest cyclone ever and the fifth-deadliest natural disaster of the 20th century, after the 1931 China floods, the 1887 Yellow River flood, the 1556 Shaanxi earthquake, and the 1970 Bhola cyclone in Bangladesh. Myanmar's military leaders did not count the full death toll from Nargis (leaving the area shortly after it hit), and this led to initial uncertainty about the scale of the disaster. The final death toll from Nargis was at least 146,000, because there were 90,000 people confirmed dead at one point and 56,000 were missing. They were never found, so it was assumed that these 56,000 people were killed. Thus, its death toll would exceed that of the 1991 storm and make it the deadliest since the 1970 storm. It is now thought that hundreds of thousands of people will never be found after Nargis because their bodies have decayed, been buried, or were washed out to sea. Andrew Kirkwood, country director of the British charity Save The Children, stated: "We're looking at 50,000 dead and millions of homeless, I'd characterise it as unprecedented in the history of Myanmar and on an order of magnitude with the effect of the  tsunami on individual countries. There might well be more dead than the tsunami caused in Sri Lanka." Foreign aid workers estimated that 2 million to 3 million were homeless, often going to one of 260,000 refugee camps in Myanmar. It was the worst disaster in Myanmar's history, whose total damage is comparable to that of the 2004 Indian Ocean tsunami. Thousands of buildings were destroyed; in the town of Labutta, in the Ayeyarwady Division, state television reported that 75 percent of buildings had collapsed and 20 percent had their roofs ripped off. One report indicated that 95 percent of buildings in the Irrawaddy Delta area were destroyed. The Ministry of Religious Affairs stated that 1,163 temples were destroyed in Ayeyarwady Division and 284 in Yangon Division. The Burmese government formally declared five regions—Yangon, Ayeyarwady, Bago Divisions and Mon and Kayin States— as disaster areas. A United Nations official commented as follows: "It's a bad situation. Almost all the houses are smashed. People are in a terrible situation." Another UN official said that "The Irrawaddy delta was hit extremely hard not only because of the wind and rain but because of the storm surge." Burst sewage mains caused the landscape to flood with waste, ruining the rice crop. The Daily Telegraph (UK) reported that food prices in Myanmar could be affected. Woradet Wirawekhin (th: วรเดช วีระเวคิน), deputy director general of Thailand's Department of Information, Ministry of Foreign Affairs, stated on 7 May 2008 that, in reference to a report submitted by Bansan Bunnak (th: บรรสาน บุนนาค), the Thai ambassador in Yangon, conditions in the city had deteriorated and that most businesses and markets were closed. Mr. Wirawekhin also reported that the locals faced even more adversity in basic subsistence, because local food prices had increased two- or threefold. On 6 May 2008, the Burmese government representation in New York City formally asked the United Nations for help, but in other ways it remained resistant to the most basic assistance. On 7 May 2008, the government of Myanmar had not officially endorsed international assistance, but stated that they were, "willing to accept international assistance, preferably bilateral, government to government." The biggest challenge was obtaining visas for entry into the country. According to Thai Rath Newspaper of Thailand on 8 May 2008, in the afternoon (Bangkok time) of 7 May 2008, the Burmese junta permitted Italian flights containing relief supplies from the United Nations, and twenty-five tonnes of consumable goods, to land in Myanmar. However, many nations and organisations hoped to deliver assistance and relief to Myanmar without delay; most of their officials, supplies and stores were waiting in Thailand and at the Yangon airport, as the Burmese junta declined to issue visas for many of those individuals. These political tensions raised the concern that some food and medical supplies might become unusable, even before the Burmese junta officially accepted the international relief effort. Bangladesh, which has had experience with cyclones in the past, was one of the first countries to supply aid to Myanmar in the aftermath of Cyclone Nargis. Two planes carrying aid, organised by the Bangladesh Army, were sent to Myanmar on 8 May 2008. They carried stockpiles of emergency aid and hundreds of aid workers with experience in coping with the aftermath of a cyclone. India, one of the few countries which maintains close relations with Myanmar, launched Operation Sahayata under which two Indian Navy ships and two Indian Air Force (IAF) aircraft supplied the first international relief material to the cyclone-hit country. The two aircraft carried 4 tonnes of relief supplies each while the Indian Navy transported more than 100 tonnes of relief material. On 8 May, the IAF dispatched its third air consignment carrying over 32 tonnes of relief material including tents, blankets and medicines. India planned to send more aid to Burma. In a separate development, Burma denied Indian search and rescue teams and media access to critical cyclone-hit areas. India released a statement saying it had requested Burma to accept international aid especially that from the United States, to which Burma agreed. According to various reports, Indian authorities had warned Burma about the danger that Cyclone Nargis posed 48 hours before it hit the country's coast. 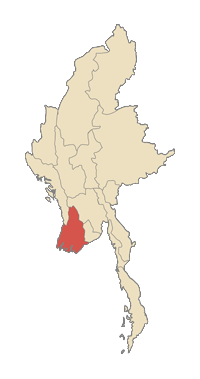 As of 16 May 2008, India's offer to send a team of 50 medical personnel to set up two independent mini-hospitals in the Irrawaddy delta was accepted by the Burmese government. An aircraft carrying the team of doctors and approximately 6 tonnes of medicines was being prepared at Delhi's Palam Air Force Base. Italy provided €465,000 (about $732,282) worth of aid in the form of 30 tons of emergency relief equipment, such as stretchers, generators, and water purifiers in a flight organised by the World Food Program (WFP). The flight arrived in Yangon on 8 May. This was the first aid flight from a Western nation, preceded only by aid from Thailand. In addition to this aid, the Italian government provided €500,000 through the WFP and €500,000 through funding to relief agencies through the UN. An additional €123,000 was provided through the Red Cross, as well as €300,000 worth of further financing for emergency equipment. Mercy Malaysia also trained 180 doctors from the Myanmar Medical Association in Yangon for deployment in the Irrawaddy Delta. RM 1.8 mil was collected for victims of Myanmar’s cyclone victims through The Star Myanmar Relief Fund and handed to Mercy Malaysia executive council member Dr Ahmad Faizal Perdaus. A second Malaysian Red Crescent Society (MRCS) disaster relief team was sent to Myanmar on 21 May 2008. Thailand sent US$100,000 in supplies, thirty tonnes of medical supplies and twelve tonnes of food supplies from Thai Red Cross. Additionally, Chaiya Sasomsap, Minister of Public Health of Thailand, stated that the Government had already sent medical supplies valued more than one billion baht ($31.3 million) to Myanmar. Furthermore, the Government of Thailand dispatched, upon the permission of the Burmese junta, twenty medical teams and twenty quick communicable disease suppression units. Samak Sundaravej stated that "if Myanmar gives the green light allowing us to help, our Air Force will provide C-130 aircraft to carry our teams there. This should not be precipitately carried out, it has to have the permission of their government." On 7 May 2008, those units, with their subordinate aeroplanes, were permitted to land in Yangon, carrying drinking water and construction material. One of the largest sums was donated by the United Kingdom which committed £17 million (approx US$33.5 million). The UK's Department for International Development sent an international relief team to help with the co-ordination of the international relief effort. Another team from the same department was also on the ground inside Myanmar. The Royal Navy dispatched HMS Westminster to the area to assist. This ship was part of the Orion 08 group deployment but was detached on a contingency tasking. This mission was codenamed Operation Songster. Prime Minister Gordon Brown remained extremely critical of the Burmese régime and had not ruled out violating Burmese sovereignty by carrying out "forced airdrops" to deliver aid. On 5 May, US Chargé d'Affaires in Myanmar Shari Villarosa declared a disaster due to the effects of Cyclone Nargis. In response, the US Agency for International Development (USAID) deployed a Disaster Assistance Response Team (DART) and immediately provided $2 million to UNICEF, WFP, and the Office of the United Nations High Commissioner for Refugees (UNHCR) for emergency food, water and sanitation, and shelter assistance. On 6 May, an additional $3 million from USAID was allocated for the provision of emergency relief assistance, including $1 million to the American Red Cross and $2 million for NGO partners and on 12 May, USAID Administrator Henrietta H. Fore announced $13 million in food aid and logistics assistance through the World Food Programme. From 12 to 20 May, USAID and the US Department of Defense (DOD) coordinated the delivery of nearly $1.2 million of US relief commodities to Rangoon on 185 DOD C-130 flights. The relief supplies would provide assistance to more than 113,000 beneficiaries. The DOD efforts were under the direction of Joint Task Force Caring Response. As of 26 June 2008, United States assistance had totalled $41,169,769 and continued to be directed by the USAID DART stationed in Thailand. On 15 May, the United Nations Office for the Coordination of Humanitarian Affairs (OCHA) launched the Burmese HIC website. The purpose of the site was to improve information exchange and collaboration between operational agencies responding to Cyclone Nargis. Based in Bangkok, the HIC was providing support to the Humanitarian Partnership Team and other humanitarian partners in Yangon, as well as those based in Bangkok. By 8 May 2008, the Foundation for the People of Burma had a team on the ground in Rangoon and beyond providing direct assistance to thousands of refugees. Since this organisation was administered by Buddhist volunteers and already had tacit permission from the Burmese government, all donations went directly for supplies. The International Federation of Red Cross and Red Crescent Societies had pledged $189,000 for relief. The federation had also launched an appeal of a further CHF73.9 million. Red Cross spokesman Matt Cochrane said that cyclone survivors needed everything. They needed emergency shelter to keep them dry, including food supplies. He said stagnant waters were a perfect breeding ground for the malaria mosquito, so insecticide-treated nets were needed. The Red Cross suffered a setback when a boat carrying supplies sank when it hit a submerged tree. Everyone aboard survived, but most of the cargo was lost. Ten Red Cross/Red Crescent relief flights carrying medical and shelter supplies were due to land in Yangon on 12 May. Trocaire has been active in Myanmar since 1995 and were the first Irish aid agency to gain access after Cyclone Nargis. Relief work has been conducted mainly through local partners and membership of the international federation Caritas Internationalis. Trocaire had appealed for the focus of humanitarian work in Myanmar not to be lost in the wake of China's more recent earthquake. Save the Children, one of the few agencies allowed to work in Myanmar, said the toll would likely sharply grow in the next few days as help reached isolated areas. On 18 May, it announced that it believed that thirty thousand children younger than five were already facing malnutrition and could starve in under a month if food did not reach them. Médecins Sans Frontières landed a plane of 40 tons of relief and medical supplies in Rangoon. After clearing customs the supplies were transferred to local MSF warehouses. They have approximately 200 workers in the region, many of whom have been involved in long-term projects there and were already in the region. World Vision launched a US$3 million appeal and sought to get international aid into the country. Staff on the ground were working to distribute food, water and other non-food items while WV Myanmar managers sought approval from the government to work in the worst affected areas and to bring in aid from outside. Local NGOs also responded to the emergency, many adapting from human-rights or women's focuses to humanitarian emergency relief. Association of Southeast Asian Nations An assessment team and 30 medical personnel per country. Australia A$25 million (US$23.5 million) and 31 tonnes of supplies. Brazil Zinc roofing tiles, canvas tents and first aid items. India More than 178 tonnes of relief materials; tents, food supplies, medicines. A team of 50 medical personnel is being sent to set up hospitals in the Irrawaddy delta. Lithuania Lithuanian government donated Lt200,000 ($90,000) to Red Cross. Pakistan Relief materials and setting up of a mobile hospital in the affected region upon approval of Burmese government. Serbia Relief materials, medicines and medical supply. In the days after the storm, the junta pursued a CNN reporter covering the effects of the storm. The reporter was eventually forced to leave the country out of fear of being imprisoned. On 9 May 2008, the junta officially declared that their acceptance of international aid relief would be limited to food, medicines and other supplies as well as financial aid, but would not allow additional foreign aid workers or military units to operate in the country. Samak Sundaravej, Prime Minister of Thailand, stated that, following the request of Eric G. John, US Ambassador to Thailand, he would visit Myanmar on 11 May to urge the junta to open the country. Quinton Quayle, UK Ambassador to Thailand, later remarked that he would also join Sundaravej. However, the junta immediately replied that it was not willing to welcome anyone at this time. Sundaravej said that he would still submit the mediating letter to the junta without delay. The delays had attracted international condemnation. Also, on 9 May in Bangkok, Richard Horsey, spokesperson of the United Nations, urged Myanmar to accept a full scale international relief effort. United Nations Secretary General Ban Ki-moon urged the junta to allow aid in "without hindrance". Ban's comments came after the World Food Programme resumed food aid after two shipments of high energy biscuits were stolen by the military. The House of Commons of Canada condemned the Burmese government's response in a resolution passed unanimously on 9 May 2008. Oxfam International's regional chief Sarah Ireland warned that 1.5 million face death if they did not get clean water and sanitation soon: "It's really crucial that people get access to clean water sources and sanitation to avoid unnecessary deaths and suffering." Myanmar's government seemed unaware of the scope of the death and destruction Cyclone Nargis wrought on the country more than a week ago, it was reported 13 May 2008. Some critics were even suggesting genocide since the Burmese government had deliberately denied storm victims aid, allowing for hundreds of thousands to potentially die from starvation, exposure, and disease. On 16 May 2008, the Burmese UN ambassador accused France of deploying a warship to the Burmese coast. The French UN ambassador denied the LHD Mistral was a warship, and claimed Myanmar's refusal to allow increased aid into the country "could lead to a true crime against humanity." France stated the ship in question was carrying 1,500 tons of relief supplies. UK Prime Minister Gordon Brown accused the ruling junta of allowing the disaster to grow into a "man-made catastrophe" through its failure to act. He also rebuked the junta as being guilty of inhuman actions. On 19 May, Myanmar agreed to allow aid from members of the Association of South-East Asian Nations (ASEAN) to enter. The decision came after an emergency ASEAN summit. The aid would start arriving 21 May. Ban Ki-moon would probably visit the country the same day to "accelerate relief efforts". That day, Ban announced that Myanmar was going to "allow all aid workers regardless of nationality" to enter, although ships and helicopters were still not expected to be allowed. The announcement came after Ban had met with junta leader General Than Shwe for over two hours. Organizations welcoming the announcement included World Vision, the World Food Programme, and the International Rescue Committee. On 23 May, negotiations between UN Secretary General Ban Ki-Moon and Than Shwe resulted in the opening of Myanmar to aid workers, regardless of nationality. Myanmar's government was still staunchly opposed to the presence of military units in the country, only allowing dedicated relief workers. On 5 June, a USS Essex-led American carrier group full of aid left the Burmese coast after being denied entry for several weeks, taking its aid back undelivered. On 27 May, to complicate world opinion and in contrast to numerous and varied accounts from international relief organisations, the Burmese junta praised U.N. aid. On 5 June 2008, Amnesty International released a report saying that at least thirty people had been evicted from refugee camps. The report also indicated that the military was horse-trading aid for physical labour. Despite objections raised by the Burmese opposition parties and foreign nations in the wake of the natural disaster, the junta proceeded with a previously scheduled (10 May 2008) constitutional referendum. Voting however was postponed until 24 May 2008 in Yangon and other areas hardest hit by the storm. On 8 May 2008, about thirty protesters assembled before Myanmar's embassy in Manila, Philippines, demanding that the junta defer voting on the referendum and immediately accept international relief. The Philippine protesters delivered the statement that "this time is not the time for politics, but it is the time to save people." The United States Government also demanded that the United Nations not endorse the referendum. Aung San Suu Kyi, leader of the Burmese opposition, also stated that holding a vote for the referendum during this disaster would be a consummately unacceptable act. About 500 Burmese activists demonstrated on 10 May outside their country's embassy in Kuala Lumpur, Malaysia, demanding that Burma's military regime call off its constitutional referendum even as voting began despite a devastating cyclone. In a public poll conducted throughout Myanmar on 9 May 2008 by Mizzima, a Myanmar news agency, 64% of those surveyed still intended to vote in the referendum. However, 71% did not know what the constitution was, and 52% had not yet decided whether they would vote to support or oppose it. AP news stories stated that foreign aid provided to disaster victims was modified to make it look like it came from the military regime, and state-run television continuously ran images of Gen. Than Shwe ceremonially handing out disaster relief. More than a week after the disaster, only one out of 10 people who were homeless, injured or threatened by disease and hunger had received some kind of aid. More than two weeks later, relief had only reached 25 percent of people in need. Nine days after the cyclone, the military government was still refusing to grant visas and access for aid workers into the area. The UN called for an air or sea corridor to be opened to channel large amounts of aid, and the HMS Westminster was sent to the area, alongside French and United States military assets. A Facebook.com page called Support the Relief Efforts for Burma (Myanmar) Cyclone Disaster Victims with 10,000 members used its members to organise a Global Day Of Action for Burma on 17 May 2008. with the help of Burma Global Action Network, Burma Campaign UK, Canadian Friends of Burma, the US Campaign for Burma, Info Birmanie, as well as countless local partners, a Global Day of Action for Burma a call for Humanitarian Intervention was held on 17 May 2008, in cities worldwide. An apparent response to the junta's blockade of aid to the Cyclone Nargis victims, the international community called for a humanitarian corridor to get aid into the hardest hit areas of Myanmar. Nargis set many records for its death toll and its damage. In addition, when Nargis reached Category 4 on the SSHS on 2 May, it marked the only time that a Category 4 storm had formed in this basin for three consecutive years: starting with 2006's Mala, going into 2007 with Sidr and Gonu, and ending with Nargis. It is the costliest storm in the Indian Ocean cyclone basin. The exact death toll from Nargis will likely never be known, but it was most likely one of the deadliest tropical cyclones in recorded history. Adventist Development and Relief Agency (ADRA) is assisting survivors in the hard-hit Irrawaddy Delta by providing food aid, access to water, medical assistance, kitchen kits and other ways to help. Aidmatrix (The Aidmatrix Foundation) is providing an online co-ordination portal connecting companies, groups and individuals wanting to offer products and services, financial contributions or wanting organise workplace giving efforts. American Jewish World Service is providing emergency support to local organisations that are responding to immediate needs. Architecture for Humanity is supporting long-term, sustainable reconstruction of housing, schools, clinics and other critical infrastructure. Giving Children Hope has partners on the ground with which to send emergency supplies. CARE had offices in Yangon that were damaged. Cesvi Operated in the Dedaye Township on over 40 villages. The project implemented were: Watsan, Shelter and NFI's distribution, Agriculture and Livelihood, Medical and Vector control Teams. Chevron Corporation contributes US$2 million, of which half goes to The International Federation of the Red Cross and the other half will be allocated to four other organisations: the International Organization for Migration, Mercy Corps, Pact and Save the Children. Church World Service is working with the Myanmar Council of Churches on a relief effort. Direct Relief is working with several groups and organisations on the ground. Doctors Without Borders/Médecins Sans Frontières has more than 200 aid workers on the ground and is responding. FireFly Mission is working with groups of Monks and other local NGOs on the ground. 100% of donations go to the victims directly. Firefly Mission believes in the principle of cultural relativism and do not support projects or organisations that may attempt to convert recipients or involve in activities that disrespects local cultural dynamics. Foundation for the People of Burma provides direct assistance and is operating in Rangoon. GlobalGiving has several targeted relief projects with grassroots organisations already in Myanmar, including International Medical Corps, CHF International, and IDE. Hungarian Baptist Aid has joined to Baptist World Aid's Search, Rescue and Medical team. Also ready to launch a humanitarian relief and a special water purification and clean water packing (waterbags) unit. Hewlett Packard Foundation made the donation of US$250,000 via World Food Programme(WFP). Lutheran World Relief is working through Church World Service. Mingalar Foundation, a Myanmar-based NGO, is helping 37,000+ unreached people (about 7,000 families) in 9 affected areas everyday by distributing food, clean water, shelter and medicine and are accepting donations online with the help of Samui Island Hotels (USA/Thailand). Myanmar Red Cross is appealing for help and is on the ground. Proximity Designs distributed US$17.9 million in aid to 2.49 million people following the storm and continues to help farming families rebuild through cash-for-work infrastructure projects in 214 villages throughout the Irrawaddy Delta. Save the Children is "one of the largest non-governmental organizations at work in Myanmar" and has launched a full scale relief effort. Sewa International has a network of volunteers and partner organisations active in the affected areas. ShelterBox Australian and other Rotary International bodies are assisting. ShelterBoxes started arriving on 10 May. UNICEF is in country and has already provided relief supplies. Unitarian Universalist Service Committee has joined with the Unitarian Universalist Association to launch a humanitarian relief fund to help survivors of the cyclone in Myanmar. The UUSC responds strategically to crises, especially when rights are threatened or when those in need are overlooked or neglected by traditional relief approaches. World Relief is working with partners in the Global Relief Alliance to bring vital aid to thousands in desperate need in the aftermath of the storm. World Vision has 600 staff on the ground. Nargis Action Group Myanmar Egress is currently involved in disaster relief operations in 4 severely damaged townships in the Delta region. In so doing, Myanmar Egress has collaborated with some business companies that have been granted permission by the authorities to undertake in the rescue and relief work in several storm-hit areas in the delta. Myanmar Egress is engaging in all these disaster relief activities under the name of "Nargis Action Group Myanmar". The Irrawaddy Delta is such a fertile area for rice growing that it was known as the "rice bowl" of the British Empire. Production was high enough that Myanmar could feed its citizens a high amount of rice (by the standards of Asia) with enough left over to sell on the market. Since Nargis hit right around harvest, a rice shortage and famine could result. The United Nations' Food and Agriculture Organization estimated that Nargis impacted 65% of the country's paddies. They feel that the situation would be "devastating... if the recent disaster results in severe rice shortages." This might exacerbate the crisis already occurring, but it could be partially alleviated if fall and late summer harvests were good. Myanmar had since appealed for aid to assist with getting the rice planted, as its farmers had a 40- to 50-day window of opportunity before the season's crop would be lost. The Myanmar government estimated losses of US$10 billion because of the cyclone. The UN Human Settlements Programme (UN-HABITAT) reported the extent of the international response to date as less than 7 percent of the actual needs for shelter after 15 months, although emergency shelter relief efforts were well funded. It estimated about 209,000 families had rebuilt their own homes alone over the past year. Out of US$150 million requested for shelter repair and reconstruction under the Post Nargis Recovery Plan (PONREPP) — a three-year recovery strategy running to 2011 — only US$50 million had been received. ^ "Cyclone Nargis embodied the 'perfect storm'". NBC News. 8 May 2008. Retrieved 23 April 2013. ^ a b "Natural catastrophes and man-made disasters in 2008: North America and Asia suffer heavy losses" (PDF). Swiss Reinsurance Company Ltd. 21 January 2009. p. 24. Retrieved 16 January 2010. ^ "Burma death toll jumps to 78,000". BBC News. 16 May 2008. Retrieved 17 May 2008. ^ "Aid trickles into Burma, but toll 'could reach 1 million if disease set in". London: Timesonline.co.uk. Retrieved 31 August 2013. ^ "Asian bloc to handle Burma aid". Toronto Star. 19 May 2008. Retrieved 19 May 2008. ^ Klug, Foster (12 May 2008). "Bush says world should condemn Myanmar". Associated Press. Retrieved 13 May 2008. ^ "The Center for Research on Epidemiology of Disasters (CRED) disaster figures for 2008" (PDF). Unisdr.org. Retrieved 31 August 2013. ^ a b c d "Report on Cyclonic Disturbances Over the North Indian During 2008" (PDF). India Meteorological Department. January 2009. pp. 26–33. Retrieved 21 September 2016. ^ a b "JTWC 2008 best track analysis: Tropical Cyclone 01B: Nargis" (DAT). United States Joint Typhoon Warning Center. Retrieved 21 September 2016. ^ "Tropical Cyclone 01B Warning April 27, 2008 15z". United States Joint Typhoon Warning Center. 27 April 2008. Archived from the original on 27 April 2008. Retrieved 21 September 2016. ^ "Tropical Cyclone 01B Warning April 27, 2008 21z". United States Joint Typhoon Warning Center. 27 April 2008. Archived from the original on 27 April 2008. Retrieved 21 September 2016. ^ a b India Meteorological Department (2008). "Cyclonic storm "NARGIS" over southwest and adjoining southeast and west central Bay of Bengal". Archived from the original on 28 April 2008. Retrieved 2 May 2008. ^ India Meteorological Department (2008). "Severe Cyclonic storm "NARGIS" over southwest and adjoining southeast and west central Bay of Bengal". Archived from the original on 28 April 2008. Retrieved 2 May 2008. ^ Joint Typhoon Warning Center (2008). "Cyclone Nargis Warning NR 005". Retrieved 2 May 2008. ^ Joint Typhoon Warning Center (2008). "Cyclone Nargis Warning NR 006". Retrieved 2 May 2008. ^ Joint Typhoon Warning Center (2008). "Cyclone Nargis Warning NR 007". Retrieved 2 May 2008. ^ India Meteorological Department (2008). "Very Severe Cyclonic storm "NARGIS" over westcentral and adjoining southwest and southeast Bay of Bengal". Archived from the original on 29 April 2008. Retrieved 2 May 2008. ^ Sify News (28 April 2008). "Cyclone Nargis triggers fears in Tamil Nadu". Retrieved 3 May 2008. ^ Daily Star (29 April 2008). "Cyclone Nargis poised to strike in 4-5 days". Retrieved 3 May 2008. ^ Joint Typhoon Warning Center (2008). "Cyclone Nargis Warning NR 008". Retrieved 2 May 2008. ^ Joint Typhoon Warning Center (2008). "Cyclone Nargis Warning NR 009". Retrieved 2 May 2008. ^ Joint Typhoon Warning Center (2008). "Cyclone Nargis Warning NR 010". Retrieved 2 May 2008. ^ Joint Typhoon Warning Center (2008). "Cyclone Nargis Warning NR 012". Retrieved 2 May 2008. ^ Joint Typhoon Warning Center (2008). "Cyclone Nargis Warning NR 017". Retrieved 2 May 2008. ^ Joint Typhoon Warning Center (2008). "Cyclone Nargis Warning NR 020". Retrieved 2 May 2008. ^ India Meteorological Department (2008). "Tropical Storm "Nargis" Advisory No. Thirty-Six Issued At 1100 UTC of 2 May 2008 Based on 0900 UTC Charts of 2 May 2008". Archived from the original on 2 May 2008. Retrieved 2 May 2008. ^ India Meteorological Department (2008). "2 May, 2008 Shipping Bulletin for Met. Area VIII North of Equator". Archived from the original on 3 May 2008. Retrieved 2 May 2008. ^ Joint Typhoon Warning Center (2008). "Cyclone Nargis Warning NR 023". Retrieved 2 May 2008. ^ India Meteorological Department (2008). "Tropical Storm "Nargis" Advisory No. Forty-One Issued At 0200 UTC of 3 May 2008 Based on 0000 UTC Charts of 3 May 2008". Archived from the original on 3 May 2008. Retrieved 2 May 2008. ^ Joint Typhoon Warning Center (2008). "Cyclone Nargis Warning NR 025". Retrieved 3 May 2008. ^ Sri Lanka Meteorological Department (2009). Country Report: Sri Lanka (PDF). WMO/ESCAP Panel on Tropical Cyclones Thirty-Sixth Session. Muscat, Oman: World Meteorological Organization. p. 125. Archived from the original (PDF) on 10 June 2013. Retrieved 11 May 2013. ^ a b c d "Floods leave thousands homeless". Daily Mirror. 30 April 2008. Archived from the original on 9 May 2008. Retrieved 3 May 2008. ^ Lakshmi de Silva (30 April 2008). "Over 35,000 affected by floods, landslides". Upali Newspapers Limited. Retrieved 3 May 2008. ^ Press Trust of India (28 April 2008). "Orissa heat deaths rise to eight as cyclonic storm forms over Bay". The Hindu. Chennai, India. Retrieved 3 May 2008. ^ Herman, Steve (29 April 2008). "Bangladesh's Farmers Told Not to Panic About Approaching Cyclone". VOA News. Retrieved 3 May 2008. ^ Alexander, David (6 May 2008). "Myanmar deaths may top 100,000: U.S. diplomat". Yahoo! News. Retrieved 7 May 2008. ^ Tun, Aung Hla (6 May 2008). "Cyclone kills 10,000 in one Myanmar town, aid promised". Reuters India. Retrieved 8 May 2008. ^ "Myanmar cyclone dead will 'never' be identified". CNN. 8 June 2008. Archived from the original on 12 June 2008. Retrieved 1 July 2008. ^ a b Denby, Kenneth (7 May 2008). "Burma cyclone: up to 50,000 dead and millions homeless, but still no call for aid". The Times. London. Retrieved 7 May 2008. ^ "Hundreds killed by Burma cyclone". BBC News. 4 May 2008. Retrieved 5 May 2008. ^ Associated Press & Canadian Press (8 May 2008). "UN relief planes arrive in Burma, others set to follow". CBC News. Retrieved 8 May 2008. ^ "Thailand to Help Rebuild Temples in the Irrawaddy Delta". Irrawaddy. 13 January 2009. Retrieved 13 January 2009. ^ "UPDATE 1-Myanmar cyclone stirs more rice supply fears". In.reuters.com. 5 May 2008. Retrieved 31 August 2013. ^ Bell, Thomas (5 May 2008). "Burma cyclone kills more than 350 people". London: Daily Telegraph. Retrieved 6 May 2008. ^ a b [clarification needed] พม่านับล้านไร้ที่อยู่ ศพอืดเน่า ผวาโรคระบาดซํ้า. Thai Rath (in Thai). 8 May 2008. Archived from the original on 9 May 2008. Retrieved 8 May 2008. ^ "Bangladesh aid arrives in Burma". BBC News. 8 May 2008. Retrieved 16 March 2010. ^ AGENCIES (10 May 2008). "India to send more relief to Myanmar on May 10 - The Economic Times". Economictimes.indiatimes.com. Retrieved 31 August 2013. ^ Tighe, Paul (13 May 2008). "Asia". Bloomberg.com. Retrieved 31 August 2013. ^ "The Tribune, Chandigarh, India - Main News". Tribuneindia.com. Retrieved 31 August 2013. ^ "India urges Myanmar to accept global aid, junta agrees (Lead) - Thaindian News". Thaindian.com. 13 May 2008. Retrieved 31 August 2013. ^ a b Majumder, Sanjoy (16 May 2008). "India sends doctors to Burma". BBC News. Retrieved 16 May 2008. ^ a b Bagchi, Indrani (18 May 2008). "India works to end Myanmar's isolation". Times of India. Retrieved 18 May 2008. ^ "Ministero degli Affari Esteri - 05 - Volo umanitario in Myanmar". Esteri.it. Retrieved 31 August 2013. ^ Loh Foon Fong (29 May 2008). "Mercy prepares 180 physicians for service in Irrawaddy Delta". The Star (Malaysia). Retrieved 29 May 2008. ^ "RM1.8mil collected for cyclone victims". The Star (Malaysia). 21 May 2008. Retrieved 21 May 2008. ^ [clarification needed] ในหลวง-ราชินี สลดพระทัย พม่าพุ่ง 2 หมื่นศพ. Thai Rath (in Thai). 7 May 2008. Archived from the original on 9 May 2008. Retrieved 7 May 2008. ^ [clarification needed] "ต้นโพธิ์ทรงปลูกรอดพายุ พระเทพฯ ทรงห่วงพม่า". Thai Rath (in Thai). 9 May 2008. Archived from the original on 17 April 2009. ^ "UK gives £12m more aid to Burma". BBC News. 15 May 2008. Retrieved 30 April 2010. ^ "Burma 'guilty of inhuman action'". BBC News. 17 May 2008. Retrieved 30 April 2010. ^ Starr, Barbara (6 May 2008). "Some aid delivered in cyclone-ravaged Myanmar". CNN. Retrieved 6 May 2008. ^ "Myanmar: Red Cross Red Crescent Launches Revised Emergency Appeal". International Federation of Red Cross and Red Crescent Societies. 9 July 2008. Retrieved 16 May 2008. ^ Lisa Schlein (7 May 2008). "Red Cross Issues Multi-Million Dollar Appeal for Burma". Voice of America. Retrieved 8 May 2008. ^ a b Barbara Starr & David Ariosto (11 May 2008). "Relief boat sinks, leaving aid in Myanmar river". CNN. Retrieved 11 May 2008. ^ "Red Cross aid reaching Myanmar". British Red Cross. 12 May 2008. Archived from the original on 8 January 2009. Retrieved 12 May 2008. ^ Trocaire (16 May 2008). "Reports from Burma of chaos and devastation among survivors". Trocaire. Retrieved 8 May 2008. ^ "Aid workers race to reach Myanmar cyclone victims". Turkish Press. Associated Press. 8 May 2008. Retrieved 8 May 2008. ^ "Burmese children facing starvation, agency warns". CBC News. 18 May 2008. Retrieved 19 May 2008. ^ Médecins Sans Frontières (12 May 2008). "First MSF cargo plane reinforces medical and logistical material in Myanmar". Retrieved 12 May 2008. ^ "Cyclone Nargis Response Information Centre". Retrieved 17 May 2008. ^ "Publications: Listening to Voices from Inside: Myanmar Civil Society's Response to Cyclone Nargis" (PDF). Centre for Peace and Conflict Studies. Retrieved 10 June 2010. ^ Staff Writer (6 May 2008). "Aid starting to trickle into Burma: agencies". CTV. Retrieved 6 May 2008. ^ a b "Burma agrees to accept ASEAN cyclone aid". CNN. 19 May 2008. Retrieved 19 May 2008. ^ "Aus increases aid". Sky News Australia. 7 May 2008. Archived from the original on 30 June 2008. Retrieved 11 May 2008. ^ "Australia's cyclone contribution the biggest". Daily Telegraph. 14 May 2008. Archived from the original on 17 May 2008. Retrieved 14 May 2008. ^ "Brunei to send relief supplies for Myanmar cyclone-hit". Brunei Times. 8 May 2008. Retrieved 8 May 2008. ^ english@peopledaily.com.cn (7 May 2008). "Cambodia donates $50,000 to cyclone-hit Myanmar - ''People's Daily Online''". English.people.com.cn. Retrieved 31 August 2013. ^ a b "MPs condemn Burma's 'deplorable' cyclone response". CBC News. 9 May 2008. ^ "Tents 'still lacking' for quake survivors, says Chinese premier". Cbc.ca. 24 May 2008. Retrieved 31 August 2013. ^ "Fogh lufter militær nødhjælp til Myanmar" [Fogh flies military relief to Myanmar]. Jyllands-Posten Indland (in Danish). 13 May 2008. ^ "Finland to send emergency assistance to Myanmar". Minister for Foreign Affairs of Finland. 7 May 2008. Retrieved 7 May 2008. ^ "Statement of FM Ms. Bakoyannis regarding provision of humanitarian aid to Myanmar/Burma". Greek Ministry of Foreign Affairs. 8 May 2008. Archived from the original on 9 May 2008. Retrieved 8 May 2008. ^ "Italy Flight to Myanmar". Minister for Foreign Affairs (Italy). 9 May 2008. Retrieved 9 May 2008. ^ "Владата испраќа помош за Мјанмар" [The government sends aid to Myanmar]. Net Press (in Macedonian). 9 May 2008. Archived from the original on 2008-05-10. ^ "Peters announces additional cyclone aid to Myanmar". Beehive. 23 July 2008. Retrieved 4 May 2009. ^ "Norway prepared to provide NOK 10 million for cyclone victims in Burma/Myanmar". Ministry of Foreign Affairs of Norway. 8 May 2008. Retrieved 8 May 2008. ^ "Relief goods sent to Myanmar". Daily Times (Pakistan). 12 May 2008. Retrieved 12 May 2008. ^ "Filipino medical workers ready for Myanmar mission". Philippine Daily Inquirer. 9 May 2008. Retrieved 10 May 2008. ^ "Самолет МЧС России доставил в Мьянму гуманитарную помощь". Channelnewsasia.com. 10 May 2008. Retrieved 10 May 2008. ^ "Congresso di Stato: San Marino riconosce il Kosovo". San Marino RTV. 11 May 2008. Archived from the original on 26 May 2008. Retrieved 13 May 2008. ^ "Usvojen memorandum o budžetu". B92. 15 May 2008. Retrieved 7 August 2008. ^ "Singapore sends off first batch of relief supplies to Myanmar". Channel NewsAsia. 7 May 2008. Retrieved 7 May 2008. ^ "Ministry of Foreign Affairs grants a financial assistance in the amount of US$100,000 to Myanmar, following "Cyclone Nargis". Thai Ministry of Foreign Affairs. 6 May 2008. Archived from the original on 9 May 2008. Retrieved 6 May 2008. ^ "Cunta'nın İnadı Öldürüyor". Milliyet.com.tr. 9 May 2008. Retrieved 9 May 2008. ^ "МЧС Украины доставило в Мьянму 40 тонн гуманитарной помощи". Корреспондент.net. 4 June 2008. Retrieved 4 June 2008. ^ "Cyclone Nargis: Six months on". Department for International Development. 3 November 2008. Retrieved 7 November 2008. ^ "Cameron urges aid drops for Burma". BBC News. 12 May 2008. Retrieved 30 April 2010. ^ "USAID.gov" (PDF). Retrieved 13 December 2014. ^ [clarification needed] (Thai) "สมัครบินด่วนไปพม่า11พ.ค. ทูตอังกฤษขอร่วมคณะด้วย", Thai Rath, 9 May 2008. Retrieved on 2008-05-09. ^ [clarification needed] (Thai) "สมัครยกเลิกเดินทางไปพม่า เจ้าบ้านแถลงขอแค่สิ่งของ", Thai Rath, 2008-05-09. Retrieved on 2008-05-09. ^ "UN Warns That Another Storm Is Headed Toward Myanmar," AFP, 2008-05-09, retrieved on 9 May 2008. ^ "Let cyclone aid in 'without hindrance': UN chief to Burma leaders". CBC News. Associated Press. 9 May 2008. Retrieved 9 May 2008. ^ "hindustantimes.com, Oxfam warns 1.5 million at risk in Myanmar". Hindustantimes.com. 11 May 2008. Retrieved 31 August 2013. ^ "U.N. chief: Myanmar to admit all aid workers". CNN. 23 May 2008. Retrieved 23 May 2008. ^ Kazmin, Amy (23 May 2008). "Burma to Admit All Aid Workers". Washington Post. ^ a b "Burmese junta forcing cyclone victims out of emergency camps: Amnesty". CBC News. 5 June 2008. Retrieved 5 June 2008. ^ "Malaysia: Hundreds Of Activists Stage Protest In Malaysia Against Myanmar Referendum". Mysinchew.com. 10 May 2008. ^ "Poll finds a divided and indecisive public on referendum," Mizzima, 2008-05-09, retrieved on 9 May 2008. ^ a b "Myanmar junta hands out aid boxes with generals' names". International Herald Tribune. Associated Press. 10 May 2008. Retrieved 11 July 2008. ^ "En route to Myanmar, Ban Ki-moon says he will meet leader in effort to boost aid". Un.org. 21 May 2008. Retrieved 31 August 2013. ^ "Asia-Pacific | UN calls for Burma aid corridor". BBC News. 13 May 2008. Retrieved 31 August 2013. ^ "UK | UK Politics | Brown seeks emergency Burma talks". BBC News. 14 May 2008. Retrieved 31 August 2013. ^ Wong, Kristina (14 May 2008). "ABC News 'Sneaking Cyclone News Out of Myanmar to Facebook'". Abcnews.go.com. Retrieved 31 August 2013. ^ "CARE". CARE. Retrieved 31 August 2013. ^ "Emergency Preparedness and Response". Direct Relief. 30 August 2013. Retrieved 31 August 2013. ^ "First MSF Relief Plane Arrives in Myanmar (Burma)". 12 May 2008. Archived from the original on 2011-08-16. ^ "Disaster management Myanmar – Cyclone Nargis". Internation Federation of Red Cross and Red Crescent Societies. Archived from the original on 2008-05-09. ^ "Cyclone Nargis: Myanmar". Save the Children. Retrieved 31 August 2013. ^ Stewart, Ray. "NEWS UPDATE 8th MAY — BURMA". ShelterBox Australia. Archived from the original on 26 May 2008. ^ "Myanmar, Republic of the Union of - UNICEF crisis response focuses on water and hygiene in aftermath of Cyclone Nargis". UNICEF. Retrieved 31 August 2013. ^ "see video". Worldvision.com.au. Retrieved 31 August 2013. ^ Aileen McCabe (10 May 2008). "Cyclone Heightens Rice Crisis". Vancouver Sun. p. A21. ^ Amy Kazmin (16 May 2008). "Myanmar Seeks International Help in Getting Rice Crop Planted". Vancouver Sun. p. A12. ^ Mydans, Seth; Alan Cowell (21 May 2008). "Myanmar Mourns Victims of Cyclone". New York Times. Retrieved 20 May 2008. ^ "Burma: Gimme Shelter". Mike Hitchen Online. 25 July 2009. Retrieved 26 July 2009. Larkin, Emma (2010). Everything is Broken: the Untold Story of Disaster under Burma's Military Regime. Granta. Wikimedia Commons has media related to Cyclone Nargis. "Eyes of the Storm" Full episode of PBS documentary on orphans of Cyclone Nargis fending for themselves.